IOI's marketing technology services and solutions help fearless leaders, trailblazing brands, and innovative agencies deliver engaging, multi-channel customer experiences that boost brands and win markets. These days, your business’s success hinges on your ability to deliver timely, high-impact communications to customers across an ever-expanding range of platforms and devices. Can you really afford the expense, slowdowns, and inconsistent quality that comes with ad-hoc, manual production workflows? The censhare content management system and enterprise communication platform helps companies build brands, win customers, and enhance their bottom line with omni-channel marketing. By centralizing and automating complex marketing processes, censhare eliminates production headaches and enables companies to focus on their core creative and business offerings. As a result, they can deliver consistent, engaging, and relevant customer experiences across all marketing touchpoints worldwide—from print to digital, desktop to mobile. Thanks to mobile devices and social media, you can reach more customers than ever before with targeted messages. How do you take advantage of new opportunities without getting bogged down? Social media and devices like tablets and smartphones have given your organization more ways to reach more customers with messages that are more targeted and relevant than ever before. So how do you take advantage of these new communication opportunities without getting bogged down in the complexities of content creation, production, project management, and delivery? DALIM's highly efficient and scalable solutions for workflow automation, production management, job tracking, and soft proofing help global creative organizations streamline and simplify their media workflows. Reduce production times from months to minutes, and free your staff to spend time on marketing strategy and creative execution. North Plains' Xinet is the leading-edge digital asset management (DAM) solution that helps creative organizations manage their multimedia assets and streamline their workflows with expert efficiency. 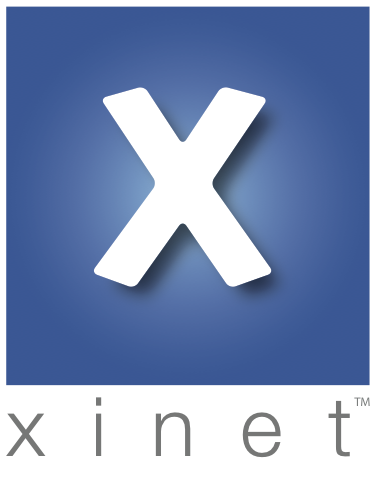 Whats New in Xinet 19? An investment in a digital asset management solution is incredibly cost-effective due to lower resource requirements and efficiencies gained. Conquer the chaos of work across the entire organization. Let Workfront Work Management help your team work better, smarter, and faster. How can Workfront help companies like yours? A streamlined work management solution that unites the entire team, eliminates communication breakdown, and speeds broken processes. Workfront (formerly AtTask) is designed to help enterprise teams—from marketing to IT to executive leadership—eliminate project chaos and gain greater visibility company-wide. The solution combines social media features with traditional project management capabilities to foster productivity, collaboration, motivation, and results. With Workfront, you can fully engage team members while giving management the information they need to optimize resources.